If you were injured at the home or business of another because of an unsafe condition in the property, the owner of that business and their insurance company may be legally responsible to pay for your “damages.” These “damages” include the cost of your medical bills, the cost of your future medical treatment, payment of your past and future lost wages, and a fair amount to help make up for your pain and suffering, disability, emotional distress, and loss of enjoyment of life. Proving your “damages” is best left to an experienced personal injury lawyer. In many cases, doctors and nurses are needed to give their opinion regarding the extent of your injury and the cost of future medical care. Similarly, economic experts may be needed to provide their opinion as to what constitutes a fair amount to compensate you for your lost future wages.  At Austin Bradley Law Office, we advance the cost of pursuing your personal injury claim and vigorously represent you throughout the entire process. You owe us nothing unless we recover money on your behalf.